Summertime is about putting down the cell phone and reconnecting with your family and friends. Catalina Island offers visitors the perfect escape from the work emails to relax and experience life at a slower pace. While the Island has plenty of amazing tours year-round, there are also many summer activities guests can experience. From Kids’ Fishing Derby to concerts, Catalina hosts fun events and activities for everyone in your party. Bring your beach chair and some friends to the South Beach Lifeguard stand for a couple rounds of Beach Bingo. Bingo cards are $1 each and participants can win fun local prizes. Join locals and visitors at Wrigley Plaza Stage to dance and sing along to some of your favorite hits. A Beer & Wine Garden will be available starting at 6:30 pm for all concerts. Saturday, July 28: Santana Ways, concert starts at 8 pm Saturday, August 18: The Xceptional Tribute to Abba, concert starts at 8 pm. Grab your fishing rod and head down to the Green Pleasure Pier for the Fishing Derby! The program is free for kids and prizes are awarded for biggest fish, most fish and most unusual fish. Kick off the summer with a beach party at Descanso Beach Club which includes DJs spinning, happy hour specials and live music. Dance the afternoon away on a white sandy beach while soaking up the sunshine. 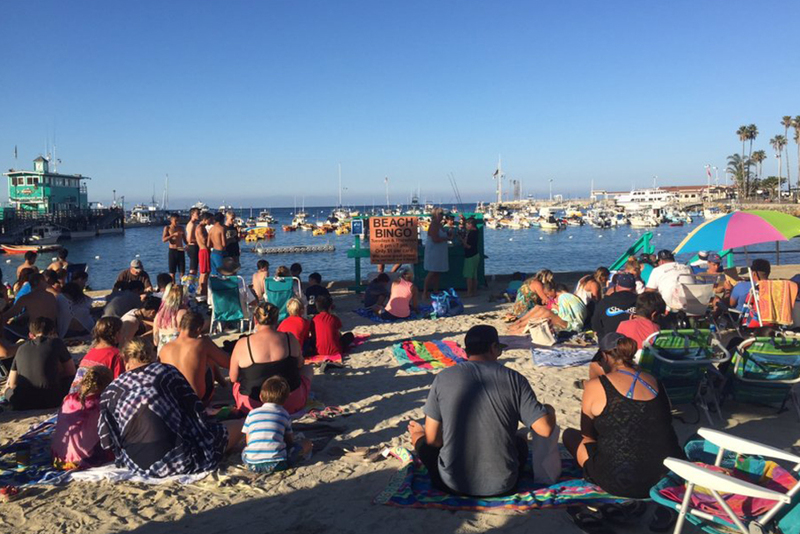 Catalina Island Museum opens up their outdoor amphitheater to showcase amazing movies and take advantage of Avalon's beautiful summer nights. Catalina Island and magic are the main themes for this summer's film series. Children tickets are free but must be accompanied by an adult. Visit CatalinaMuseum.org for tickets prices. Catalina Island Conservancy naturalists will guide visitors through the Wrigley Memorial & Botanic Garden for about an hour. View this unique collection of plant life which includes Catalina Island species found nowhere else in the world! Who does not love playing with Legos? Lego-loving local, Ryan Montgomery formed a Lego Club that is hosted on Wrigley Plaza Stage and runs through August 12th. Even if building is not your thing, come and check out some of Ryan’s detailed creation as well.